Which TGIT moment surprised you the most this year? We've made it through another year of Shondaland and we're waiting (impatiently) for the return of TGIT in 2018. 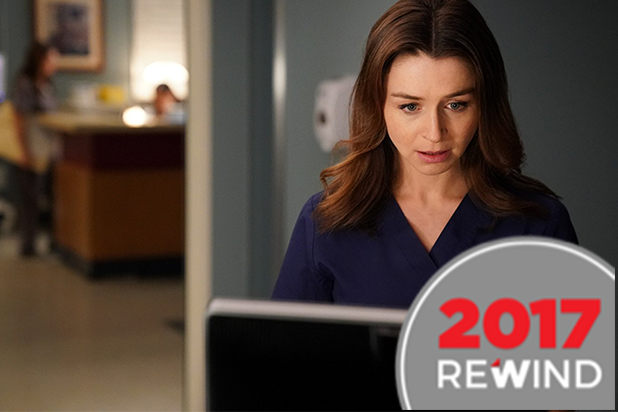 Here, we look back on some of the biggest twists this year from "Grey's Anatomy," "Scandal" and "How to Get Away With Murder." 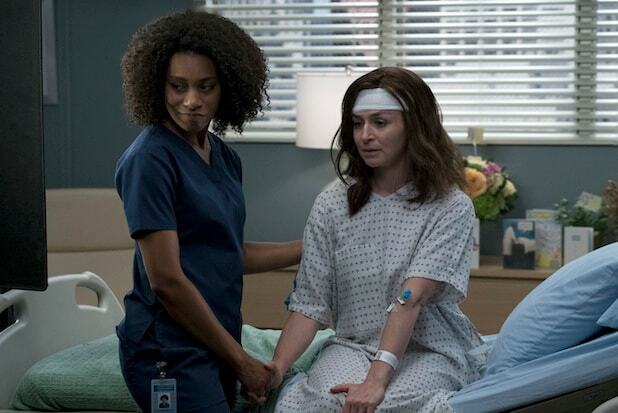 "Grey's Anatomy" When we found out Amelia had a brain tumor While so many of the surgeons at Grey-Sloan Memorial have had to have surgeries of their own, Dr. Amelia Shepherd's is the daddy of them all. We found out in Season 14 this year that she has had a giant brain tumor for years, and it's probably been behind some of her more questionable decisions. "Grey's Anatomy" When we found out Megan Hunt was alive -- and has a son At the end of Season 13, we found out that Dr. Owen Hunt's little sister and the love of Dr. Nathan Riggs' life Megan Hunt isn't dead after all, and she's being air lifted back to the United States in critical condition. 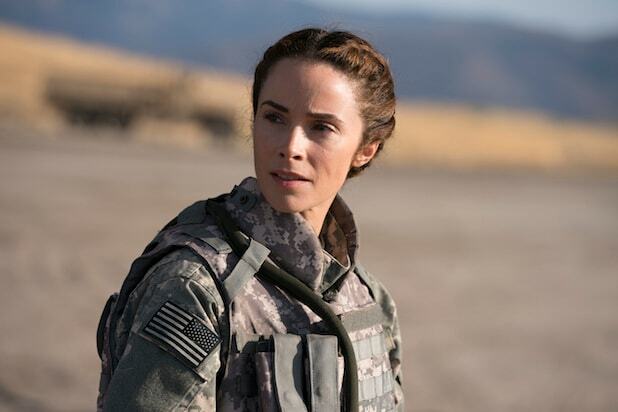 In Season 14, we found out she adopted a son while she was a prisoner of war. "Grey's Anatomy" When the hospital got hacked In the Season 14 midseason finale, Grey-Sloan Memorial gets hacked with ransomware, but the implications are way bigger than just paying the millions of dollars ransom in Bitcoin. Just when Bailey tries to reach Jackson to transfer the money, he and Maggie get in a helicopter accident -- and we're left with a cliffhanger till the season returns in 2018. "Scandal" When we thought Huck died Remember when Huck's girlfriend Meg shot him multiple times and left him for dead? We do. It was the worst week of our life, waiting to find out if he lived or died. Also, it was basically Abby's fault. Great job, Red. "Scandal" When they teased an epic Mama Pope confrontation In Season 6, we're left with a looming confrontation with Liv's mom and Rowan and Rosen teaming up to take her down, especially after wondering who this mystery henchwoman is. "Scandal" When that plane explodes Quinn convinces Yasmeen to return home to Bashran, but that plan backfires as soon as the plane straight up explodes on the tarmac after Yasmeen and Rashad board, effectively igniting an international crisis. "How to Get Away With Murder" When Wes died ... and we find out who killed him If you haven't watched, we won't spoil who killed Wes, but we can promise you it will take some wild guessing (or Annalise Keating-level lawyering) to figure it out. The end of Season 3 had us reeling with this twist, and the loss of one of our favorite characters. "How to Get Away With Murder" When Laurel gets pregnant We find out Laurel is pregnant, and we think it's Wes' because of a strategically places flashback of Laurel telling him their condom broke. But later on it's revealed that Laurel was also sleeping with Frank at the same time, leaving the baby's parentage in question. "How to Get Away With Murder" When Annalise fires everyone, including Bonnie In the Season 4 premiere, Annalise lets everyone free of their duties working for her--including her sidekick Bonnie (which might end up as not such a great idea). We know by now that Annalise can be unpredictable, but the fact that she's letting the whole crew go given all the deep dark secrets they know seems out of character for how controlling of them she usually is.